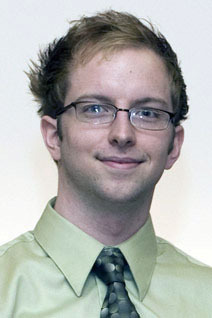 CS undergraduate, Brian Burg was selected as a Goldwater Scholar. Congress established the Goldwater Scholarship and Excellence in Education Program in 1986 in honor of Senator Barry M. Goldwater. The Goldwater Scholarship Award is a prestigious award which provides students with $7,500 per year for tuition, fees, books, and room and board for one or two years. It is awarded to sophomores and juniors in the fields of mathematics, science, and engineering. Burg was one of 278 students in the United States to receive this honor. Burg is a junior in the Computer Science Honors and Mathematics programs. He is also pursuing a minor in Japanese. Burg is currently studying abroad at Tohoku University, Japan, where he is taking Computer Science courses in Japanese. His research interests include programming languages, compilers, and software engineering. Currently he is involved with the /Thorn/ programming language project, a collaboration between researchers at both IBM T.J. Watson and Purdue University. He is also involved with research projects at Tohoku University as a member of the Kobayashi-Sumii Laboratory. Burg was also selected for an honorable mention in the Computing Research Association (CRA) Outstanding Undergraduate Award program.